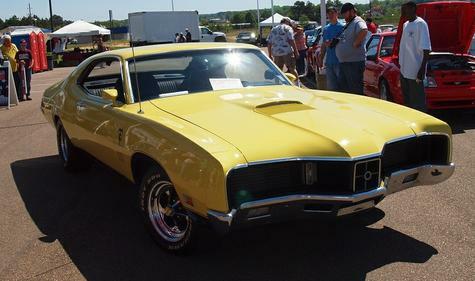 1970 Mercury Cyclone GT. 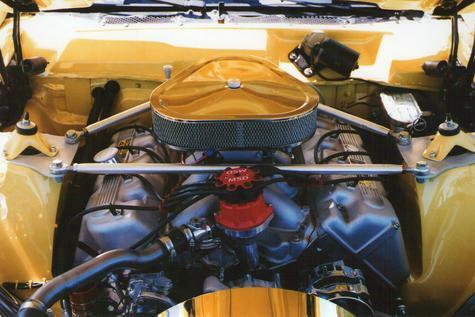 Jon Kaase BOSS 466 'crate engine' - His redesigned Boss 429 heads on a .030 over 460 Ford block. Hydraulic roller cam, B Grant Demon 850 carb. 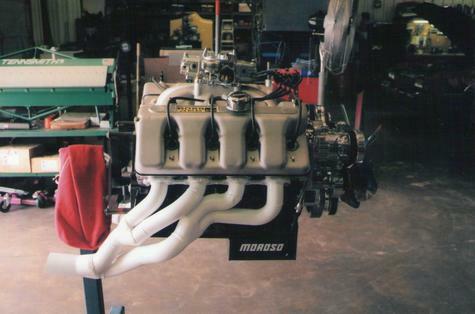 2 1/8 hand built headers into a 3" exhaust with 12" Flowmaster. Heavily fortified C-6 [2500 stall] and a gear vendor overdrive, going into a 9" Currie [3.50] rear end. Sub frames were tied together for structural integrity. 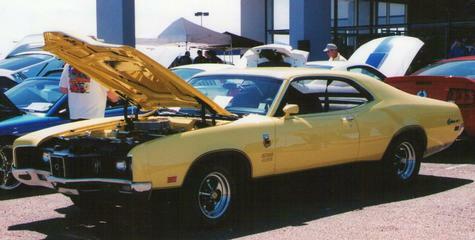 It has power steering and air conditioning, and is a daily driver. We replaced the MSD distributor with a Ford vacuum advance unit - better highway performance, better gas mileage [14.3 mpg highway], much more driver friendly around town. These 2 1/8" headers can be removed from the vehicle without having to remove the engine. WOW! That is one killer mooo tooor! Nice job! Thank you. In April, when I drove up to OKC from Jackson, MS., for the NSRA event, I averaged 13.8 mpg. In the 21 months this set-up has been on the road, I have logged over 15,000 miles - with ZERO problems related to the engine. John Kaase and his people are my heroes. Impressive!!! The Boss 9 motor is so awesome looking, pure art! Too bad Ford never offered that killer power plant in the Cyclones and Torinos! 5 Stars....Simply awesome! Thank you. Recently went over the 20,000 mile mark - no engine problems. Highway mileage up to 14.3 mpg. This thing has enough torque to jump-start a dead planet. I'm in love with your car.